Dr. Cohen is a classical homeopath and a highly regarded researcher in the areas of science, mysticism and healing. He currently runs the Center for the Healing Process in Menlo Park, California and regularly teaches workshops and classes in the healing arts. 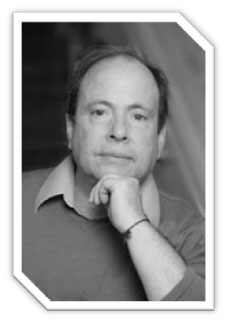 Dr. Cohen has lived and worked internationally and throughout Europe, Asia and the Middle East offering him a unique world approach to the healing process. He has studied with an array of well-known Tibetan doctors including Dr. Yeshi Dhonden, formerly the personal physician of the Dalai Lama, as well as from other ancient sources, and correlates his findings with current cutting-edge scientific research. Dr. Cohen utilizes laboratory results to validate the profound physiological improvements people experience. His approach is based on the idea that a person who is suffering tends to identify themselves by the symptoms of their condition. Dr. Cohen’s focus is not only to relieve suffering, but to gently re-orient a person towards living a life that expresses the authentic uniqueness of who they really are. He has learned that what is common within all fields of healing is that people’s symptoms are actually the map they need to follow in order to reintroduce themselves to their true nature. Dr. Cohen has been blessed with superb teachers, many of whom being his students, and continues to expand his knowledge and understanding of the healing process.